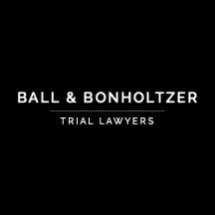 Ball & Bonholtzer is a law firm specializing in the representation of personal injury victims and consumers, The office represents catastrophically injured persons, victims of legal malpractice and medical malpractice, victims of nursing home abuse, and those who have been unfairly treated by the insurance and pharmaceutical industry. Their trial lawyers have litigated in California State Courts, Federal Courts and the United States Claims Court . It is very important to find a dedicated and hard working attorney to represent you in your legal battles. If you are seeking a driven attorney to assist with your lawsuit, whether it is traumatic brain injury, elder abuse, medical malpractice, or personal injury, Ball & Bonholtzer is the right choice. They represented victims and consumers in Pasadena, Los Angeles, and throughout the country. View some of the firm's past personal injury cases won for their clients. The experienced and respected California trial lawyers at the Pasadena law firm of Ball & Roberts represent clients throughout Southern California in communities such as Los Angeles, Glendale, Burbank, Van Nuys, Santa Monica, Beverly Hills, Long Beach, Brentwood, Hollywood, Malibu, Santa Ana, Hollister, L.A. County, Riverside County, San Bernardino County, Orange County, Ventura County and San Diego County, as well as SoCal regions such as the San Gabriel Valley, San Fernando Valley and the Inland Empire.